I am thinking of having prints made of some of my watercolor paintings and selling them on sites like Etsy. I’m not sure how to go about having prints made, as far as making it profitable. Any suggestions? This is a great question Julie. Pricing is really tough, but you can figure it out! I’ll try to break it down to its basics. Here’s what you need to consider. 1. Costs. You need to make back what you spent in making the art. This can include fixed costs like your office space, lighting, heating, etc. These costs must be spread out among the number of pieces you plan to sell on a monthly basis. For example, if your studio and rent together cost $1000 per month, and you plan on selling 10 prints per month, then you have $100 in costs for each print, before you ever count anything else. If you think you can sell 20 prints each month, then it’s only $50 per print. Then there are your costs per painting, or variable costs. This includes your canvas, brushes, the paint you used, and the time you spent (yes, your time is a cost, unless you are working for free). These will vary based on how much paint you use, how big the canvas is, etc. These will be calculated on an individual painting basis. 2. Goals. What are your painting goals? 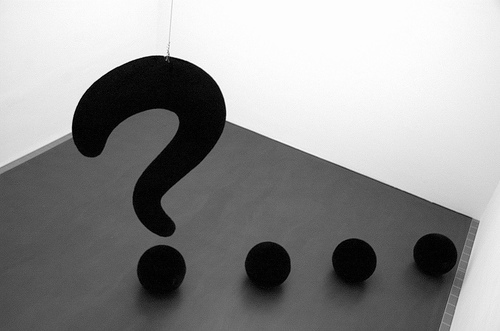 Are you trying to appear like you care what the art world thinks, or are you creating art for your buyers? 3. Research. 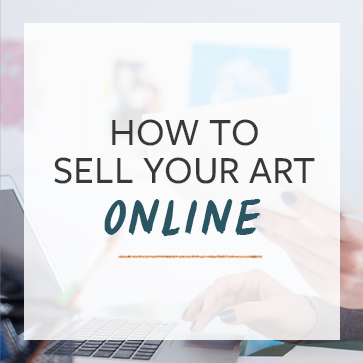 After you know your costs and goals, find out how much it costs to buy other artists’ work. Not just any artists, but look at artists who work in similar styles to you. Look at watercolors that are for sale on Etsy and see what the high, middle, and low prices are. Where do your paintings fit in? Is your work more like the high end or low end of the pricing structure? 4. Test. Pricing is as much of an art as it is a science. There’s no right or wrong way to do it, as long as you are making money. Price out a few pieces at a few different levels and see which ones sell the most or which ones end up being the most profitable. Let me know how it goes! If anyone has had great experiences with pricing their art prints, I’d love to hear about it in the comments. Did I leave anything out? Want more on making and selling prints? The best scanners, printers, and papers for printing your art at home. How about the cost of getting the print made? Giclee vs. other types? Great question Lesley. Obviously you’ll want to take that into consideration as well. Remember to shop around and get the best deal you can on printing services. I might humbly argue to look for the best quality printing that you can. That in turn allows you to charge an even higher price for your work as it will stand out from the dozens of other people printing at home/Rite Aid/Kinkos – as long as you educate people on what exactly they’re getting and paying for. yes but you are really paying to own/look at intellectual property, the quality of paper is a scam. Sorry, but this isn’t true at all. Paper quality is hugely important to ensure longevity of the print itself, as well as how well the colours transfer, sharpness and the finish. There is a world of difference between paper quality e.g. cheap craft paper and a thick high-quality 300gsm. High quality printing is important, and so is the paper or canvas that you use. There are a lot of differences in how ink is absorbed and the way the image will appear on the paper- so work with a printer to learn some of the language and terms you need to know. Weights- paper comes in ‘pounds’ like 60, 80or 120 lb. and there are differences in thickness and finishes. Card stock is a different weight than standard reams of paper. All of it has a bearing on the look and feel of the finished product. Figure out what you like best and what you can afford. If you are doing large sized work, find what companies carry which sizes and how easy they are to run through a press, how they handle wrinkles, being cut, smudges or scoring and so on. Ask people who have work similar to yours or that you admire how their art looks what they use, who they use and what they found out the hard way. Hope some of this adds to the mix of consideration for good decisions regarding art and it’s presentation! The question was however giclee, not low-end Kinko and such. Among Giclee pinters there are differences too, in quality and price. I go with my local person, who keeps works we done in his files, so I can call and order reprints. He color adjusts while the artist is on hos premises, to the T! Thanks for the great tips! I find pricing my art (be it prints or originals) the hardest part of being an artist. I don’t want to rip myself off, but I also don’t want to scare off potential buyers from my works. As an artist that is just getting into print sales, the upfront cost of the higher end prints can be staggering, especially if you don’t sell a lot of them. I currently print them out myself on the best photo paper I can get and sell them at a fairly low price. This at least gives me some cash to put into saving up for the nicer stuff down the road. Our local giclee fine art print professionals print on demand as few or as many as one wants. Lots of good advise here from others in this post. Thanks, that’s so useful. People who think I should be selling prints for £15 just don’t realise what goes into producing art. Q: I own a series of Robert Peak signed and numbered artist prints(a complete seies of six) framed and never hung. I am trying to find out their value. Cn you refer me to a reputable site or gallery? Thanking you in advance for your assistance. It will be hard to get your art in to a gallery , unless you have an in , I would design your own prints first for exposure . Galleries also take commission from what you , and the art that put in the gallery if you want to still want to show art in a gallery , I would put together contract of with terms conditions of your own and have the gallery agree and sign and date the contract before moving forward with any business regarding your art or prints. Look in to Legal Zoom for the answers , they are great asset when it comes down advise and worth time and investment. Jay, In Manhattan there is an auction house called Swan Gallery in the East 30’s. (You’ll need to look them up to get the address). You can take in your Robert Peak prints and someone will look at them and give you a value. I have brought in an old map of the United States which they looked at, and told me the history and value of it. If it’s inconvenient to travel, they might be set up to do evaluations over the internet. Swan can also refer you to other auction galleries near wherever you live. They are worth a try. 1: Which expensive between of watercolour and prints? 2: How much price of original painting in size A4? Per square inch? what is the equation for the prints? the total was $270 for the materials, fixed cost, and hours, for 20 total prints to sale. how does it become a $90 print? I think this is assuming each canvas print costs around $75. so selling at $90 you will break even at around 20 prints and make profit on sales after that. Not much profit though. re-read the post with the math. $ 90 / print refers to the number of prints you sell from any one original. I am just really getting all into this whole Social Media flow and I am getting orders on prints. Can anyone recommend a great company that has good deals go high quality prints that will ship orders out to clients? Or is that possible? I’ve been looking at Printful.com for this. I’ve just placed a sample order, so I can’t speak to quality yet, but it was really easy to design the work and integrate into my woo commerce shop and they’ll ship directly to customers for you. Hope that helps! Hey I’ve heard of that, howd they turn out? Second, with the first point established, we must settle the hours/wage/salability/cost/pricing issues. IF you are producing a desirable product (pretty paintings), what is a REALISTIC price that they will actually sell for? The bottom line is, “how big or small a check will someone write for this artwork on a consistent basis”? Third, how does my product compare with those of many artists in the marketplace? If my product was placed at any notable auction on earth, how would it fare against others who produce similar work or style? Is mine better quality? better imagery? more colorful? more stimulating? more emotionally satisfying? There MUST be something about my work that separates it from the crowd… either tangible or intangible. Something that give my work individuality that art buyers will be drawn to and remember. Fourth, what is the price that such buyers will pay on a CONSISTENT basis? Is my history of sales encouraging or not? If not, why not? Do I need to learn more about color or drawing or composition or…? Fifth and last, am I honest enough and committed enough to dig deep and do the work? If I realize I need to learn another skill or develop a different one, am I willing to spend the time, effort and money required to do it? Hard questions to answer. Especially when we are struggling to make ends meet. I am 72 years old, been through life threatening illness, been in the art business full time for 50 years, married to the same woman for 47 years… and all of it through challenges that have defeated most of my fellow artists and businessmen. My resolve has been to grow daily, improve daily and live to the fullest daily. It works because it must work, and there is no turning back. That’s the only way to do what we artists do. Tonight I sold my first piece. Don’t know how much it will be yet but I am feeling good about what I have read here. The advice is priceless. I am grateful to all who posted here. Mr Tate – god bless you! How much did you sell your prints a piece. Did you charge them for printing them to or just individual prints. Any suggestions on home printers? or places to go to to get work printed? How does the quality at a kinkos compare to a print shop? Why aren’t you considering economics in your pricing? Isn’t it important to know a price people are willing to pay, versus a random large number because you are paying rent? Not to mention what the competition is charging. If you price too high, people may not buy… If you price too low, you will look cheap. You need to price correctly for your market, not according to how much your rent is. People buy posters for $10. How do you prove value in a matte print and assert that it’s worth $100? Society6 and Redbubble are your competition, as well as other Etsy artists. Society6 prints are going for about $20-50. I think your recommendation is way off. Don’t get me wrong, I would love to sell my art prints for $100 a piece, but I need some proof that the economics work. Lauren, you’re thinking backwards. If you’re a car company like Land Rover, and you’re comparing yourself to Toyota, then of course you’re going to look at it like you’re too expensive. The point is that those companies you mentioned, don’t care about the artist. They aren’t there to help you make a buck. They’re there to help themselves, so they’re taking most of the profit, leaving the artist with basically nothing. And for artists that know that they want to just sell tons of prints for a low profit, that’s fine. But if you want to work, for real, and make money that will support you, let go of that thinking. Those people visiting those sites you mentioned are not your customers. Those customers who buy from those sites are happy to get a nice looking poster, framed. You’re not selling mass-market posters, are you? A nonprofit wants to purchase the digital images of 55 of my oil-on-canvas paintings from a recent solo exhibit, to be used for educational purposes and for printed materials. What percentage of the price of the original painting should I charge? What questions should I ask before I commit? Should I offer varying prices (say, for unlimited use of images versus for a singular project). How would I control their use? I am running an Etsy shop where i will be selling my watercolour art as posters. I am unsure of what the prices should be. The posters are decor posters meant for bedrooms, studios, and offices, and part of the money is going to my father so he is able to catch up on his bills and pay for things like that. What is a reasonable price? The issue I’m running into reffers to borders. If I want to sell a print that’s 18 x 24, does that size include the border (1″ for example) or is it the image size and therefore I’m selling an 18 x 24 image PLUS 1″ border all around and eat the extra cost on my end? Sorry if this seems confusing. What about copyright in all this? Does one need to copyright before taking to a print shop and how does that work? Are there quicker options to protect ones artwork? Ok my question is what if you’re making a limited amount of prints. I am printing archival prints, so very high quality and plan to make them signed and numbered 1/10 2/10 etc… this inevitably raises the worth of the prints as well. How would you calculate that into your formula? How did you get the calculation for $90? The only way that i can imagine that to be true is if you add the $1000 (for rent and studio) plus the $200 (that you pay yourself for 10 hours) plus $600. Then all that is divided by 20 printsis equal to $90. If my explanation is right? where does the $600 come from? If my explanation is wrong please tell me how you came up with $90 per print?